In 2017, a Global Payment Systems Company decided to support the United Nation’s Sustainable Development Goals (SDGs) by integrating them into their business strategies. For this company, their business had a significant role to play in solving global sustainability challenges. By way of strategic direction, the company investigated how it contributes to the SDGs throughout its value chain, products, and services, internal programs and policies. Based on their research and in line with the SDGs Compass guidelines, they identified 9 SDGs and accessed how their company can contribute to their achievements with their business practices. They looked at both their Internal and External Stakeholders and aligned their business procedures with areas that supported the identified SDGs. As a company, their responsibility to the Society was to ensure the development of secure payment systems that clients could trust; and reinforce value through sustainable and innovative platforms. They also wanted to be a responsible employer by revealing their employees’ potential, investing in their wellbeing and developing their capacity through training. By deciding to support the United Nations Sustainable Development Goals (SDGs), and by integrating them into their Corporate Business Strategy; this company had booked a seat at the table of Companies who are ready to be Socially Responsible. Their approach, in the long run, will ensure consistency between both their Financial and Non-Financial Objectives. If their strategies are well implemented; they will be building a strong and credible brand that adheres to national and international standards, labour requirements, ethical business standards, and environmentally friendly business practices among others. The concept of CSR (Corporate Social Responsibility) today, dominates a lot of business reports; with companies detailing how much they have spent on CSR: which in most instances is how much money they have given in support of one social cause (Corporate Philanthropy) or the other. The truth is, CSR goes beyond donation in support of a particular course. In its totality, CSR is how companies conduct their business in ways that are ethical, socially friendly and beneficial to the community in which they operate. There are so many theoretical underpins on how CSR ought to be practised but the underlying fact; is however way you chose to show your responsibility to the society, it should not undermine employees, the people who depend on your services, the country within which you operate and the rules and regulations guiding your business model. There is a strong correlation between Social Responsibility and profitability. Organizations that practice CSR in all its totality, end up building strong and credible brands that are loved by all stakeholders. This love often than not, affect positively, an organization’s bottom-line. It also can contribute immensely to the sustainability of business success. Therefore, beyond making a profit, companies should be interested in the impact they make on people and the community within which they operate. CSR should ordinarily help companies answer key strategic questions: What do we bring to the world we operate in? What impact are we making in the lives of the people we employ? Will our company and our operating model stand the test of time? Are our operations meeting all regulatory and legal requirements? Often, the relationship between a company’s business strategies and their CSR says a lot about them. Being good at one is equated to being good in the other. How is CSR performed and where does it begin? There are models and theories that explain how an organization should engage in CSR activities. But the decision to chose a particular path is dependent on the organization; their vision, mission, what they hope to stand for and how they want their community to perceive them. Ultimately, whichever path you choose, it should satisfy the basic requirements: be a good corporate citizen, be ethical, obey all regulatory and legal requirement, be profitable (you owe it to the Society), be environmentally friendly. There is no right or wrong approach, but you just have to strike a balance. You cannot, for instance, donate in support of a social cause when you are dropping the ball on appropriate labour laws and employee relations practices. Responsible companies keep an eye on all aspect of CSR. They work at striking a balance. As regards where it begins, I say it sits at the core of your business operations. It is not ad hoc! It is strategic and must be felt in all areas of your business. The society must feel your presence as much as you desire to be felt. Your CSR should align with your long-term commitment to creating value for your numerous stakeholders. Measuring the extent of your organization’s impact on the Society should be your ultimate goal. This is why Public Relations teams, need the support of other departments of the organization when it comes to CSR. 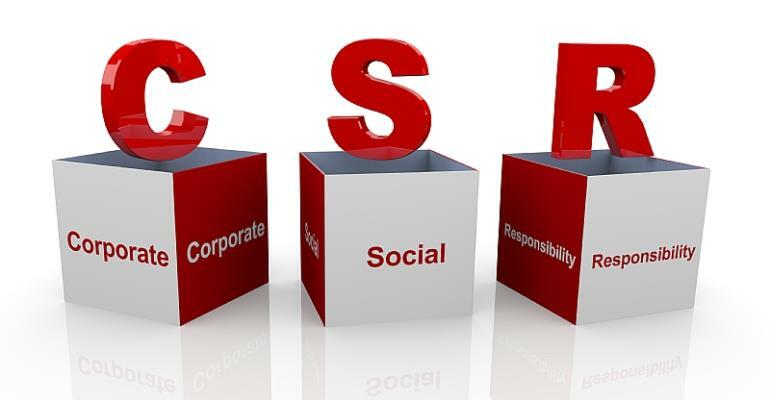 By way of conclusion, CSR in its totality is a business practice that is ethical, complies with all legal and regulatory requirements, has respect for people, communities and the environment within which an organization operates. To be socially responsible goes beyond Corporate Philanthropy; CSR does not start and end with donating funds and committing resources to support a social cause neither does it start and end with meeting the regulatory and legal requirement or creating economic benefits. It is not Sponsorship. It encompasses everything that makes an organization proud of its contribution to society.